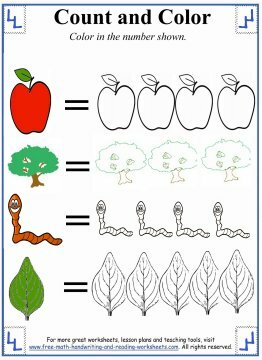 Counting numbers can be a hard task for little ones to master. Thankfully, counting is one of the easiest things to practice. Every day there are many things we can count with our children--cars driving by, dinner ingredients, Cheerios--the opportunities to teach counting are all around us. 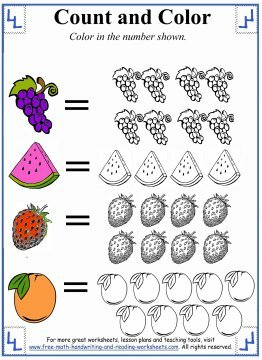 If you can combine counting with an activity your child loves then "homework" won't seem like work. That's exactly what I've tried to do with these worksheets. 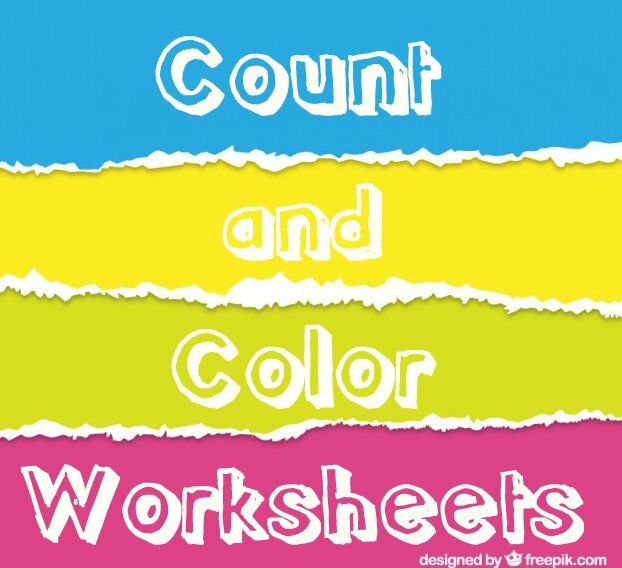 All of the worksheets below present the child with the task of counting through number recognition and an activity that many children love...coloring. Click an image below to open a printable file in another tab. In the first two papers, you'll notice colored objects on the left. On each item is a number. To the right, you'll see the same object in a black and white outline. Your child needs to color in the amount of objects shown. 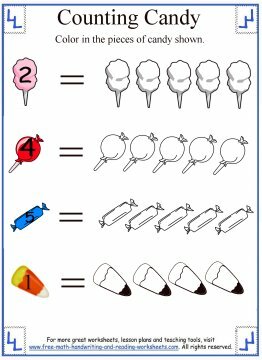 For example, in the first paper there is cotton candy with the number two on it. Your child would need to color in two pieces of cotton candy on the right. Sometimes children have difficulty with certain numbers. When our oldest daughter first learned how to count to ten, she would always skip over the number five. 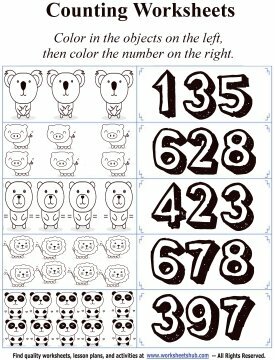 For her and other children that need help with particular numbers, I've created two templates. The next two printables don't have any numbers on them. I've left these blank so that parents (or teachers) could write their own numbers, tailoring the lesson to your child's particular needs. 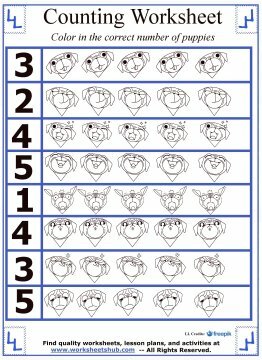 The fifth worksheet has eight rows of puppy emojis. In front of each row is number. Color in the correct number of emojis for each row. 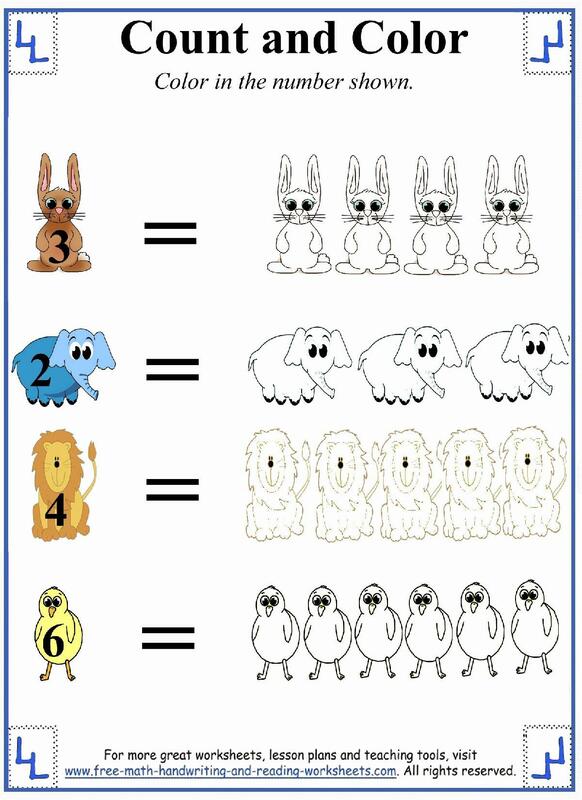 For more counting lessons and number activities, see the links below.